I have to admit, I developed a phobia for drone-flying after the last unpleasant incident in New Zealand. I used to have so much faith in drone-technology that I flew a drone out of Marina Bay Sand hotel room and back! Looking back, I consider myself extremely blessed and lucky that none of those previous flights I flew in Taiwan and Singapore ended up badly. DJI’s new firmwares in June were full of bugs. That was the reason my drones were giving me problems. There were too many bugs in the system and I didn’t want to risk losing another drone. I have since grounded my drone for the past 2 months. 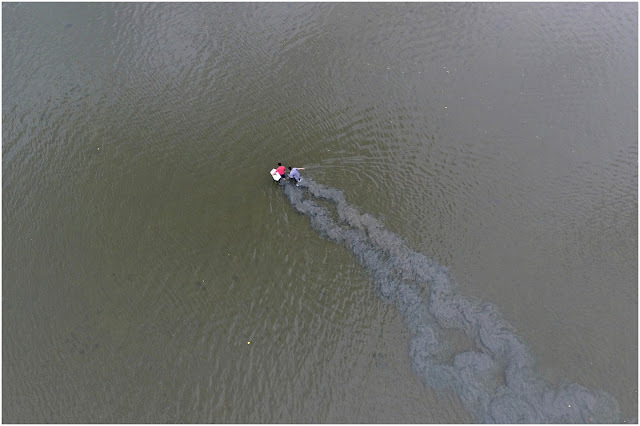 I am too afraid to fly in the city and over water. I have received my new replacement drone but kept it grounded until DJI released the new firmwares 4 weeks ago. I have been bugging Chowpo to find me a big open space to test the new firmwares. Yesterday was a one-time off bonus public holiday (to mark the 70th anniversary of the Japanese surrender in the second world war) and we had a free day to fly! 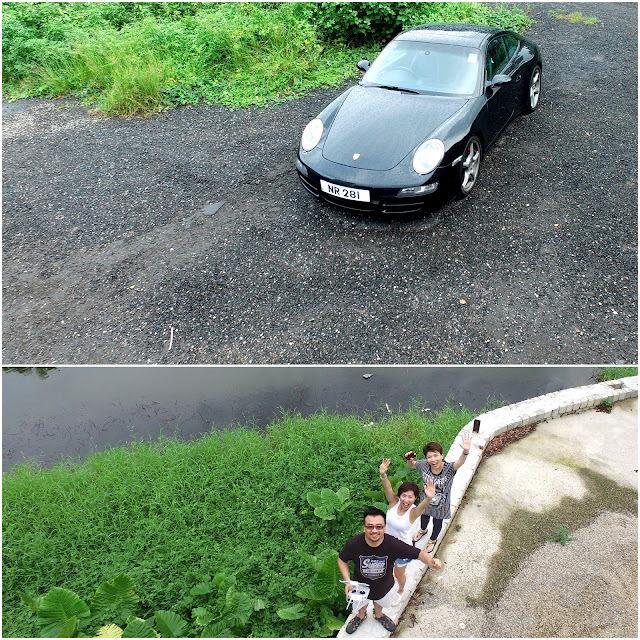 Chowpo offered to drive me (and Tracy) to the most remote corner of Hong Kong to test my drone. 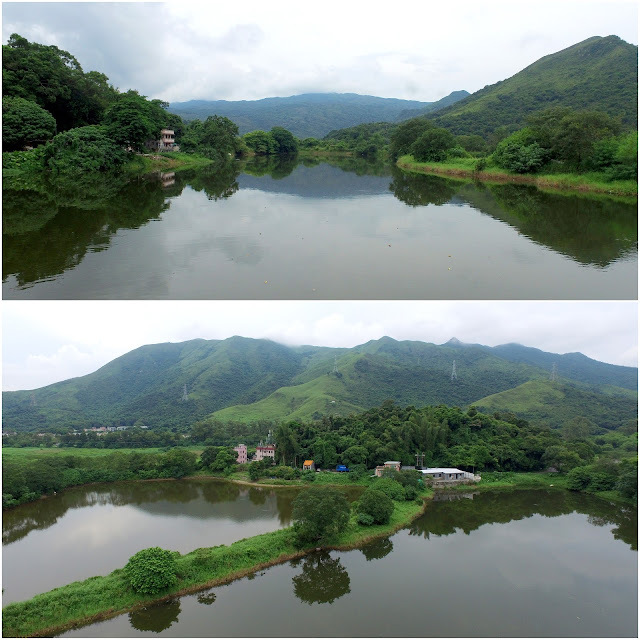 I love traveling and aerial photography so it is very important for me to gain back my flight-confidence. 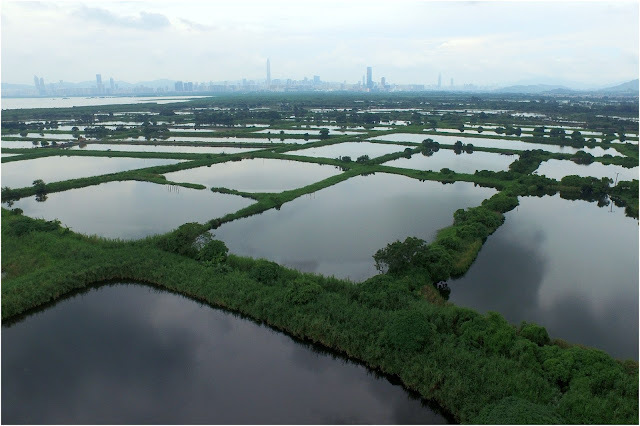 At the northern part of Hong Kong lies a huge plot of wetlands. 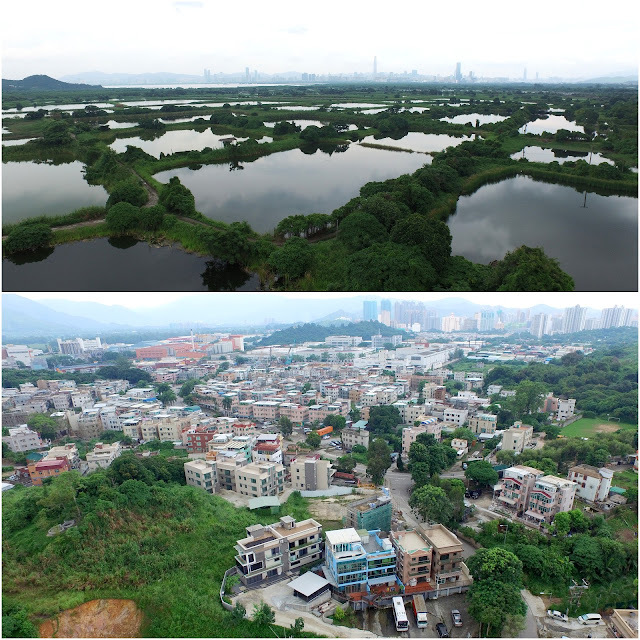 I was very surprised to know there are such rural areas in concrete Hong Kong city. There was hardly anyone, tall buildings and vehicles there. Despite the gloomy and windy weather, I felt extremely safe to practice my flight. I was still a little bit rusty but I managed to gain good control of the drone. We spent over 3 hours at 3 different sites. I exhausted all the 7 batteries. 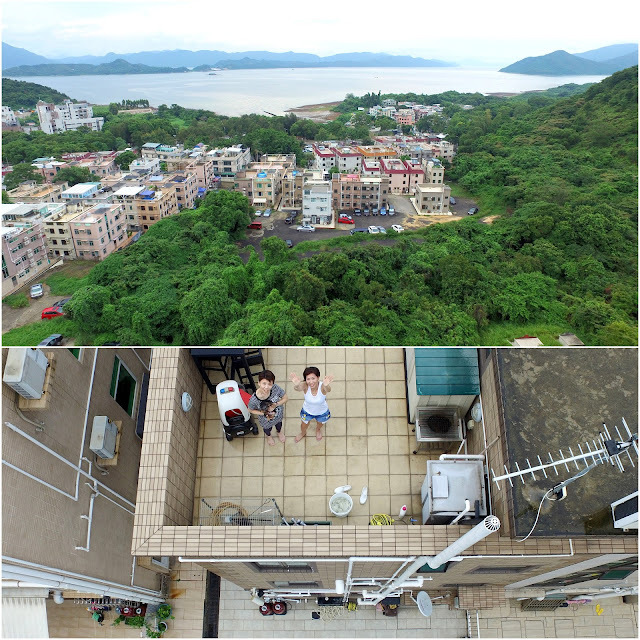 Finally, I am getting a good sense of control of the drone. With more practice-opportunities ahead, I am sure I will be able to soar and capture more amazing footages for my next trip! Yes, Pilot Wahbiang is back! Enjoy the video below! Hahaha.. Thanks Irmengard! Yes, the mojo is back! Tobi should get one, NZ is just so beautiful!